for $2,400,000. The lot size is 90X245. 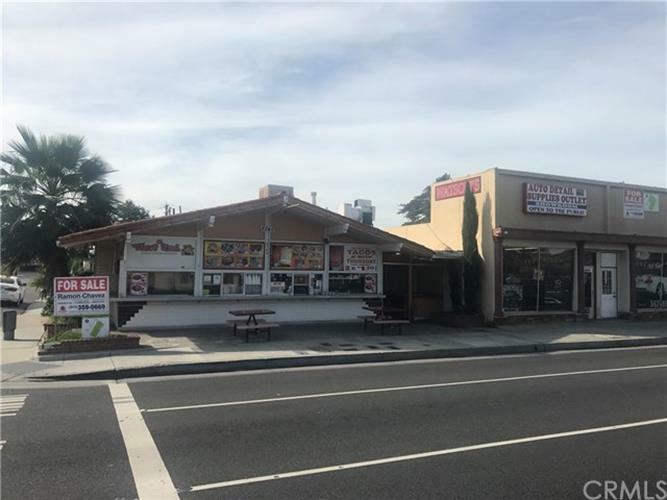 EXCELLENT OPPORTUNITY TO PURCHASE 3 DIFFERENT PARCELS ON THE MOST DESIRABLE AREA IN DOWNEY WITH 90 LINEAL FEET FRONTAGE ON FIRESTONE BLVD, CORNER LOT;FANTASTIC FOR COMMERCIAL DEVELOPMENT OR OWNER USER. MANY OPTIONS. TOTAL OF 22, 023 SQ. FT. OF LAND. THE SUBJECT PROPERTY IS LOCATED NEAR THE STONEWOOD MALL, JUST WEST OF LAKEWOOD BLVD. CORNER LOT IS A RESTAURANT THAT YOU CAN PURCHASE SEPARATELY WITH A LOT SIZE APROX. 16, 425 SQ. FT.THAT WILL BE APN # 6255-005-014 AND 6255-005-038. IF YOU PREFER TO BUY ONLY THE AUTO DETAILING STORE AND THE OFFICE THAT IS APN# 6255-005-013 THAT IS 5625 SQ. FT OF LAND.